On July 2, I received a Google Alert with the words “divorce ranch” in it. Used to getting these Google Alerts for stories about celebrity couples “divorcing” and one of them getting the “ranch,” I clicked on the link anyway and was directed to an article on RandomHouseBooks.com by Deb Caletti. 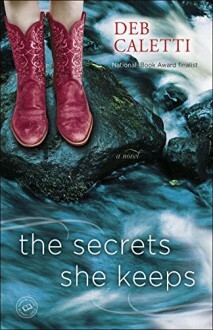 She was promoting her new novel, THE SECRETS SHE KEEPS, a dual narrative set in the present day and the past–a Nevada divorce ranch in 1951. 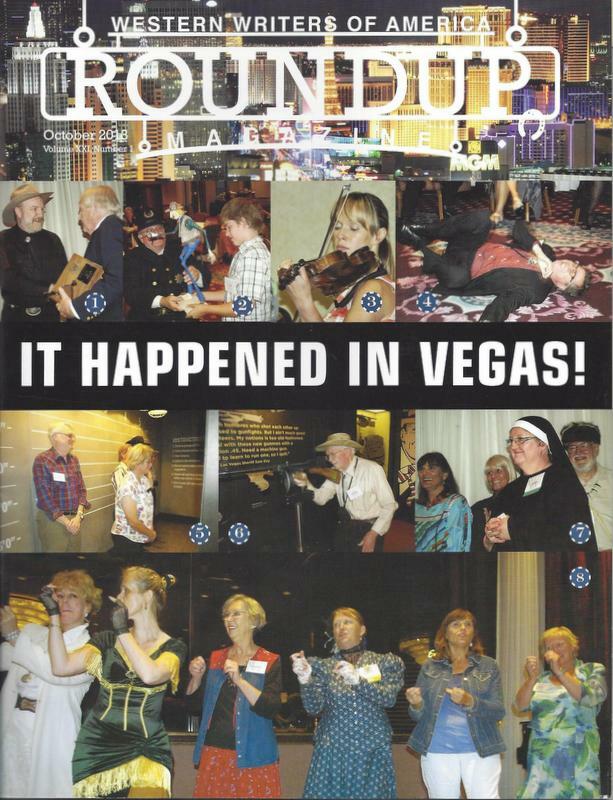 The article was illustrated with vintage photographs from The Divorce Seekers: A Photo Memoir of a Nevada Dude Wrangler, a book my husband Bill and I co-authored in 2004. “For Bill & Sandra, Divorce ranch royalty! With gratitude. –Deb Caletti”. In an interview for the Las Vegas Sun (click here to read), Brian Unger tells Robin Leach about “a book that fell into the hands of someone in the home office, and they thought this would be a great story.” I’m betting that book was “The Divorce Seekers: A Photo Memoir of a Nevada Dude Wrangler”, Bill’s Nevada dude and divorce ranch memoir (now in eBook as “The Cowboyin’ Years, 1947-1950”: A Nevada Dude & Divorce Ranch Memoir). A little backstory: In spring 2014, Bill and I were contacted by a production company about a possible new series for the Travel Channel and they were seeking information on the Las Vegas divorce ranches of the 1940s and ’50s. 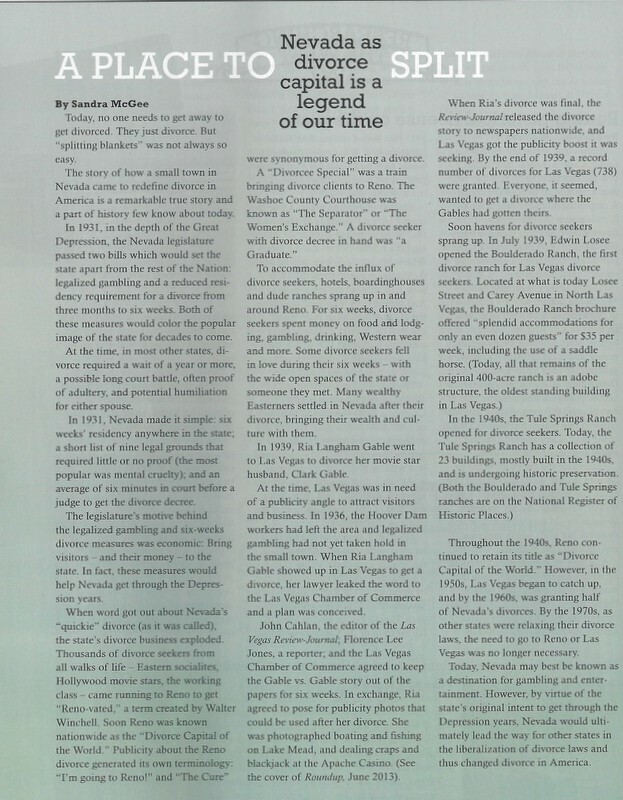 Though our book is set in Reno, we do write about the Las Vegas divorce business — which made the news in 1939 when Ria Langham divorced Clark Gable in Las Vegas — and we sent the producers a copy of our book. Fast forward to a year later: On Monday, April 20, the new series ‘Time Traveling’ premieres and a premiere episode will feature a visit to the sites of two former Las Vegas divorce ranches: Boulderado Ranch and Tule Springs Ranch. We’ll be watching to see how these Las Vegas divorce ranches are brought to life. ‘Time Traveling’ premieres Monday, April 20, on the Travel Channel at 10 p.m. PDT. If you have a story to share, call 775-682-5640 and leave a message or email Mella Harmon at mellah@unr.edu. 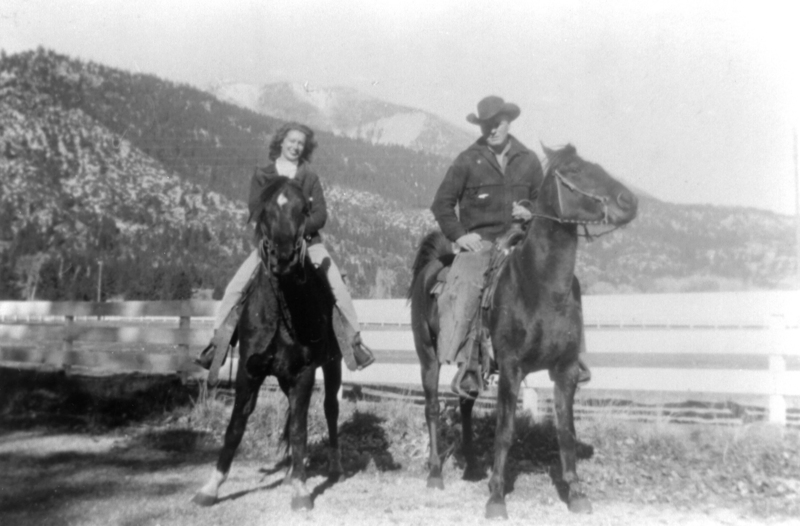 Bill McGee with his custom made ropin’ saddle purchased in Bozeman, Montana in June 1947. For fans of “Mad Men,” Christopher Spata has written a good piece on the screenwriting and attention to historical accuracy. Click Tampa Tribune (4/13/2014) . Scroll about half-way down to Marriage over? Just hit a ‘divorce ranch’ and there is a mention of Bill McGee. 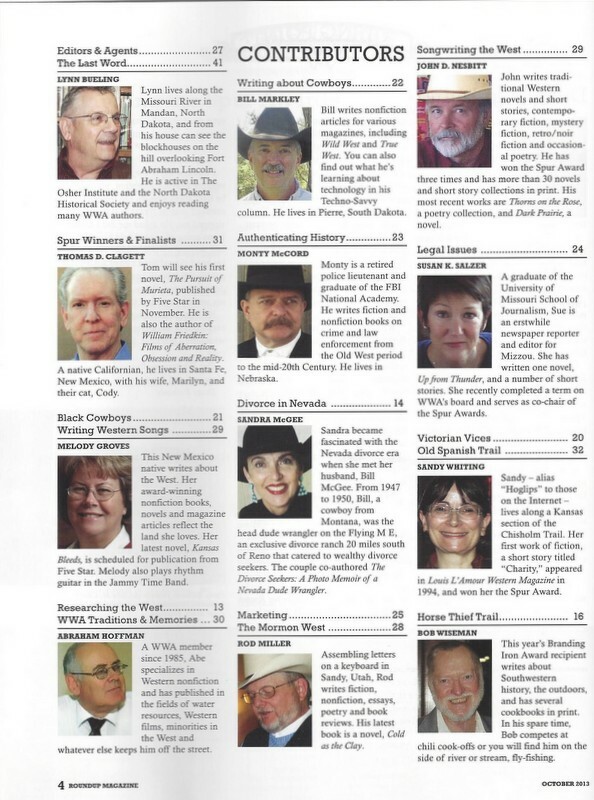 Roundup is published bi-monthly by Western Writers of America. 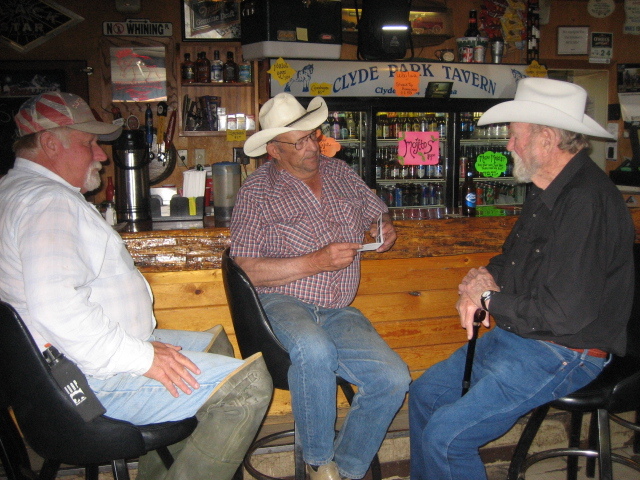 In September 2013, Bill and I visited his home state of Montana. Our objective: A research trip to fill in the blanks of Bill’s family history in preparation for our next book Growing Up in Montana, 1925-1941: A Memoir. 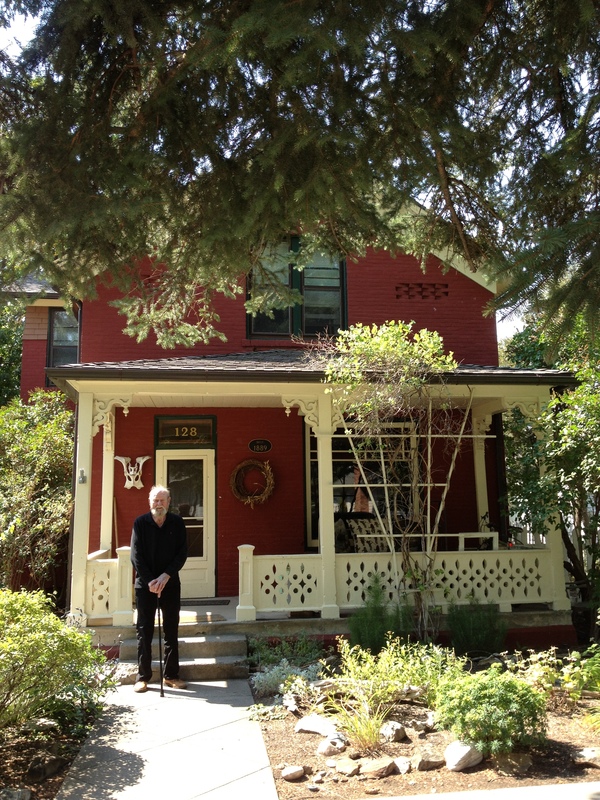 We began our research in Livingston where Bill was born in 1925. In 1925, Bill’s father, Harry Ellwood “Mac” McGee, was homesteading in the Shields River Valley about 30 miles north of Livingston. When Bill’s time came to be born, his “rich” Uncle Clyde M. Lyon drove Bill’s mother, Vivian (Lyon) McGee, to the Lott Birthing Hospital in Livingston. Maternity patients at that time were not usually kept in regular hospitals, and numerous “maternity houses” or “birthing hospitals” (as they were called) were scattered throughout Livingston before hospitals were thought important for “lying in”. The Lott Birthing Hospital, at 128 S. Yellowstone Street, was originally a private residence built in 1889 (the year Montana achieved statehood) in the affluent West Side neighborhood known as “Bankers’ Row”. 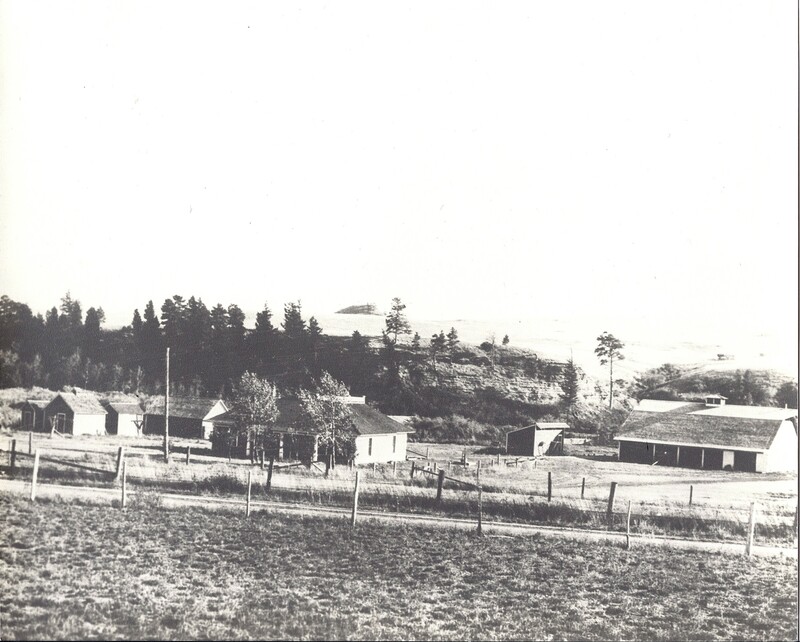 From 1920 to 1929, the residence housed the Lott Birthing Hospital run by local nurse Edith Lott. Nurse Lott, renowned for her compassion, never asked if a patient could pay. 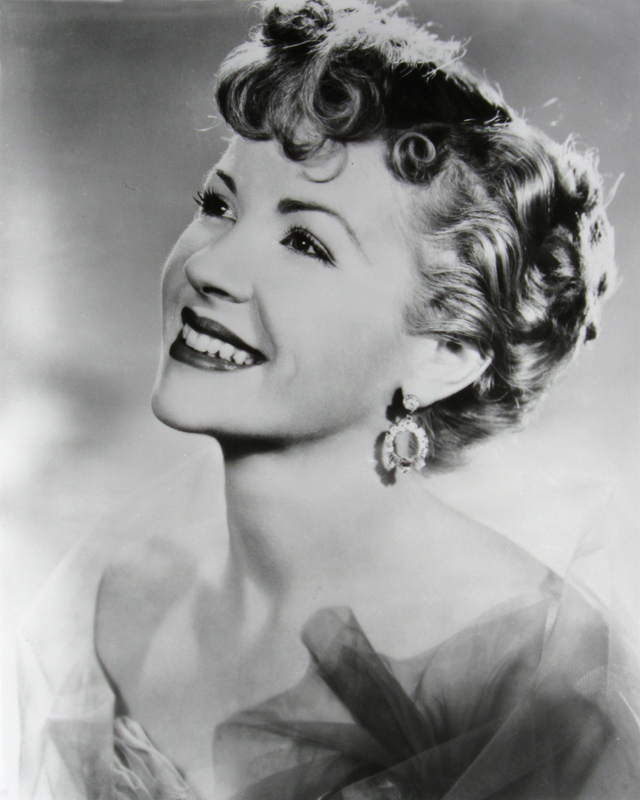 She also took care of “the ladies from B Street” (Red Light District). Livingston was established in the 1880s around the Northern Pacific Railroad. 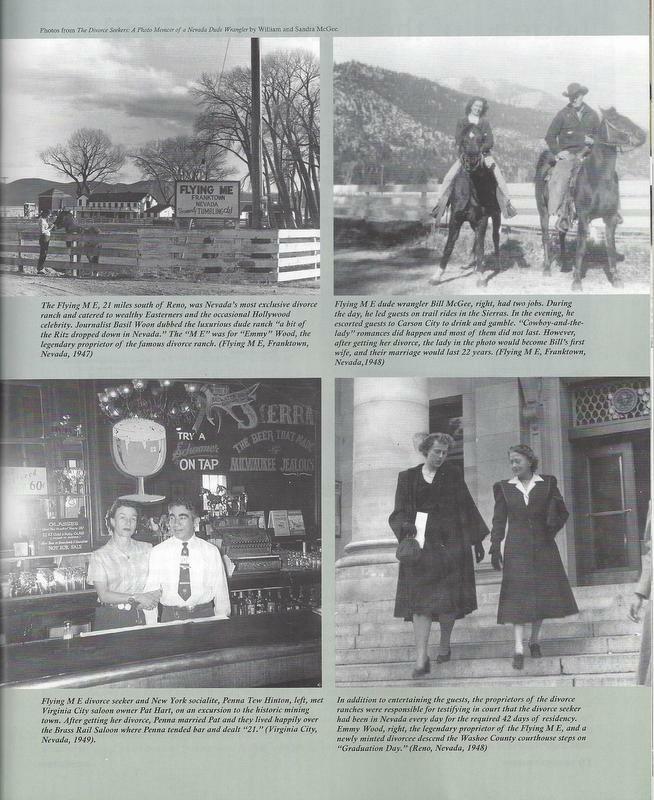 Situated on the Yellowstone River, the town soon became known as “The original gateway to Yellowstone National Park”. Tourists en route to the park had to change trains in Livingston and many spent the night in town before continuing their journey. 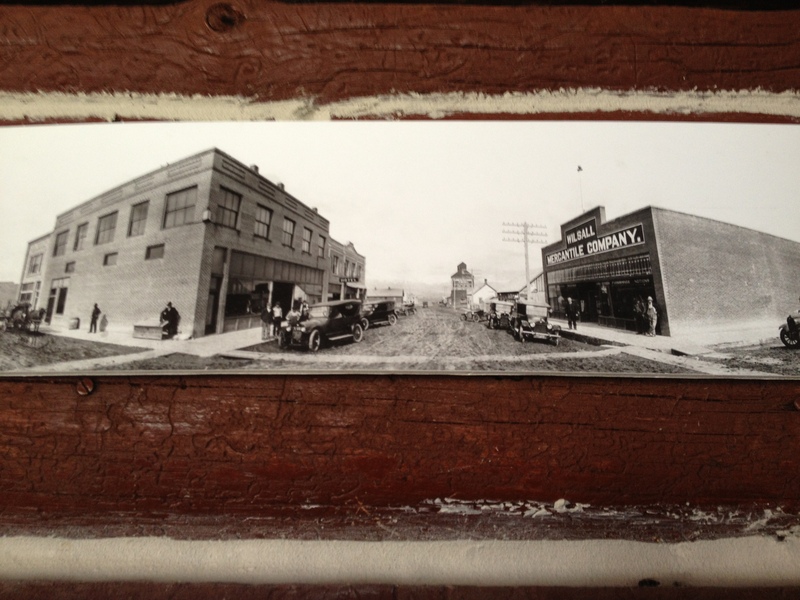 By 1882, Livingston was a thriving community with 40 businesses, 30 of which were saloons. Rough and tumble, the town attracted the likes of Calamity Jane who is said to have lived in a local hotel with periodic stays in the local jail. 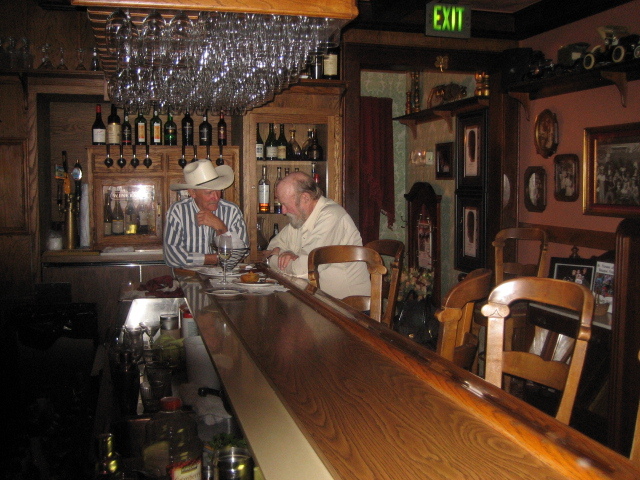 In September 2013, Bill and I visited his home state of Montana. Our objective: A research trip to fill in the blanks for Bill’s family history in preparation for the eBook, Growing Up in Montana During the Great Depression: A Memoir. 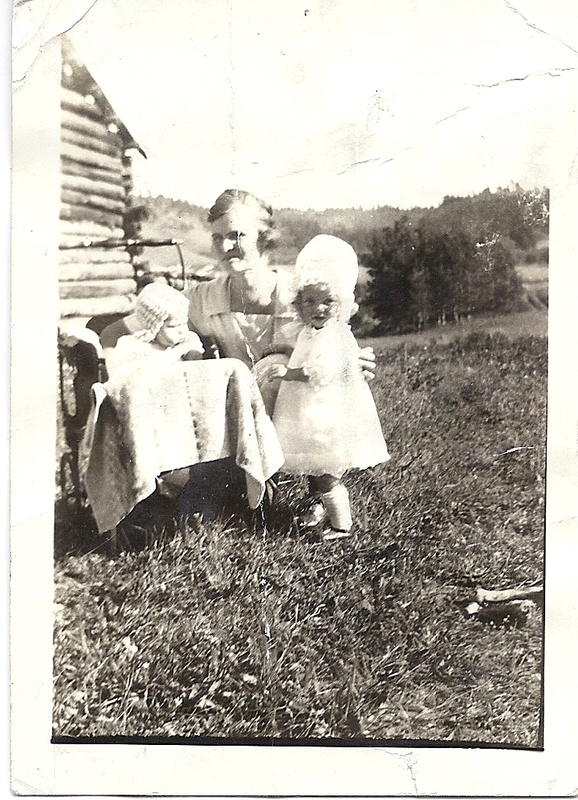 Bill’s oldest sister, Doris, was born in 1922 on Uncle Clyde’s home property near Wilsall. Bill’s next oldest sister, Betty, was born in 1923 on Uncle Clyde’s Catlin (or Caitlin) Ranch near White Sulphur Springs (pop 965 at the 2012 census) about 40 miles north of Wilsall. (See photo.) 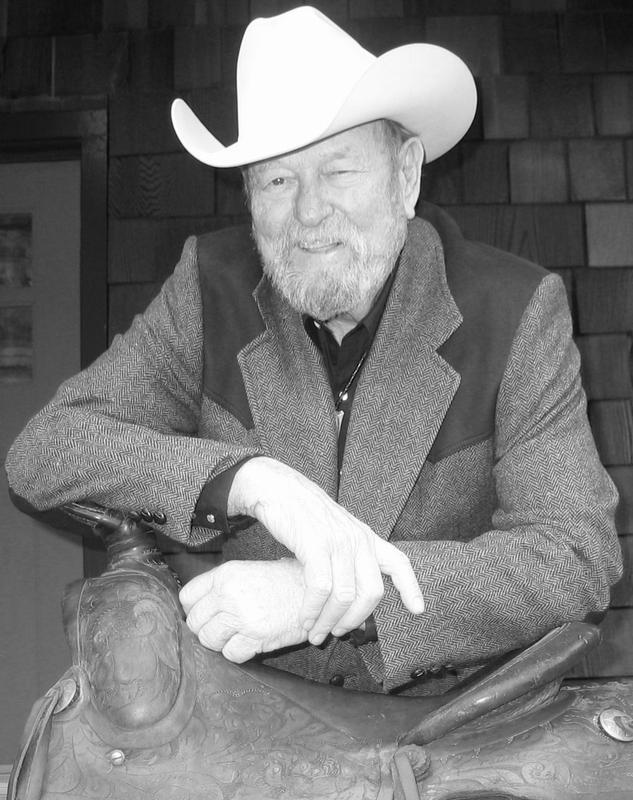 Bill was born in 1925 at the Lott Birthing Hospital in Livingston. Bill’s younger brother, Bob, would be born in 1927 in Malta on the Hi-Line. 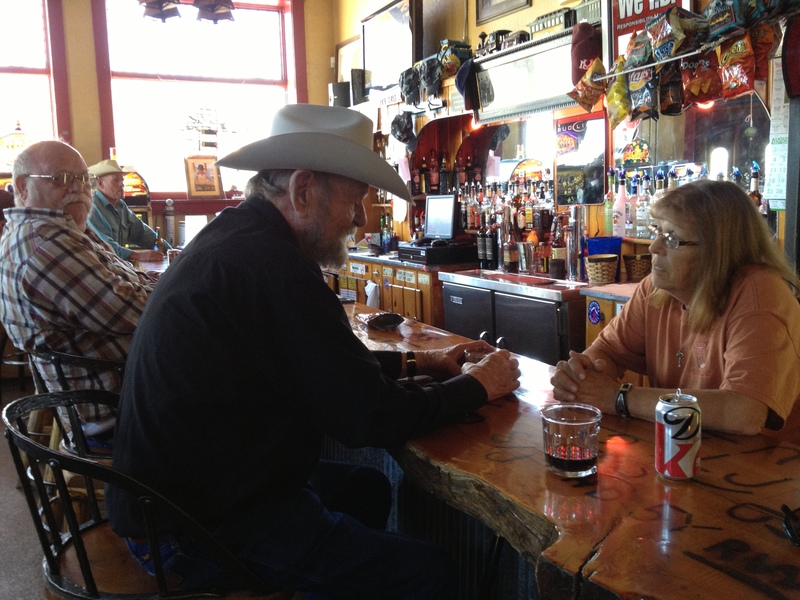 In September 2013, Bill and I visited his home state of Montana. Our objective: A research trip to fill in the blanks for Bill’s family history in preparation for the eBook Growing Up in Montana During the Great Depression: A Memoir. 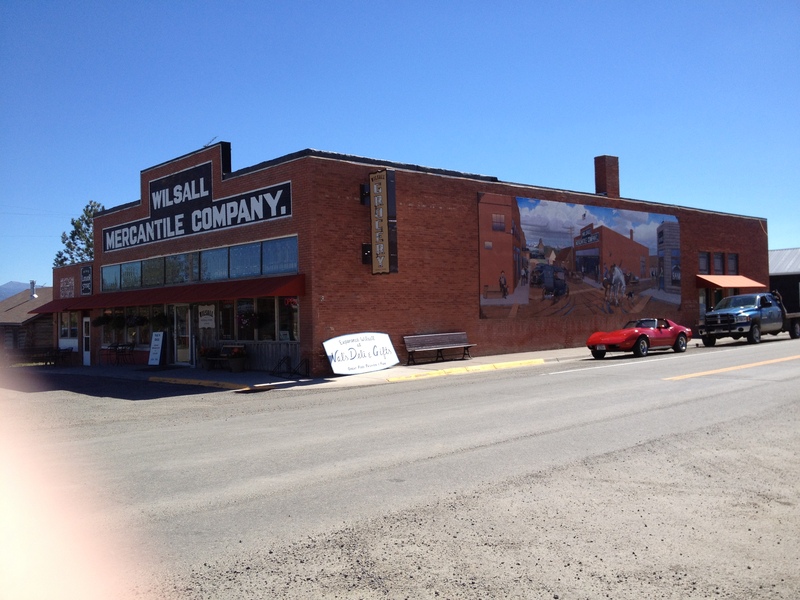 The Montana Historical Society in Helena had a wealth of information on Bill’s Uncle Clyde M. Lyon and Frederick A. Lyon. We’re researching Bill’s relationship to the latter Lyon; however, in the meantime, we gathered this information about the man. Frederick A. Lyon arrived in Montana in 1879 and, a few years later, went to Forestgrove, near Lewistown. He courageously began his career as a homesteader on what was practically desert land. His operations grew and prospered, and, by 1921, he owned 2,000 acres of valuable and productive land. 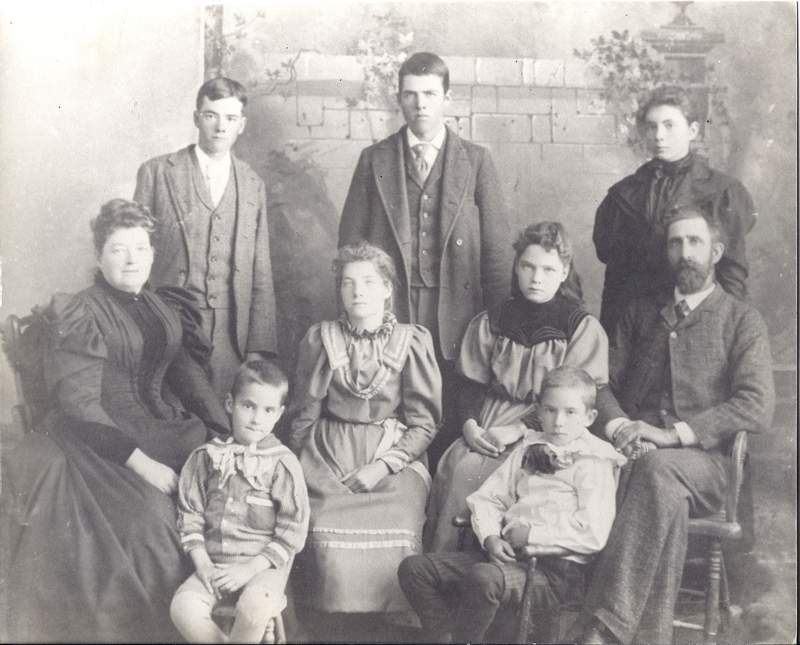 He was one of the pioneers in the business of alfalfa growing in Fergus County. To be continued in Spring 2014… “God willin’ and the Creek don’t rise”.